Learn how to build common query patterns and services with ASP.NET Core for your DocumentDB. This article continues the journey we started with Azure DocumentDB. In this installment, we will learn how to build common query patterns and services with ASP.NET Core. A full working application sample is available as a GitHub repository. In our previous article: Integration between Auth0 and Azure DocumentDB, we configured an integration between Auth0 and Azure DocumentDB as a Custom Database Provider to store our enrolled users in JSON format, as documents. 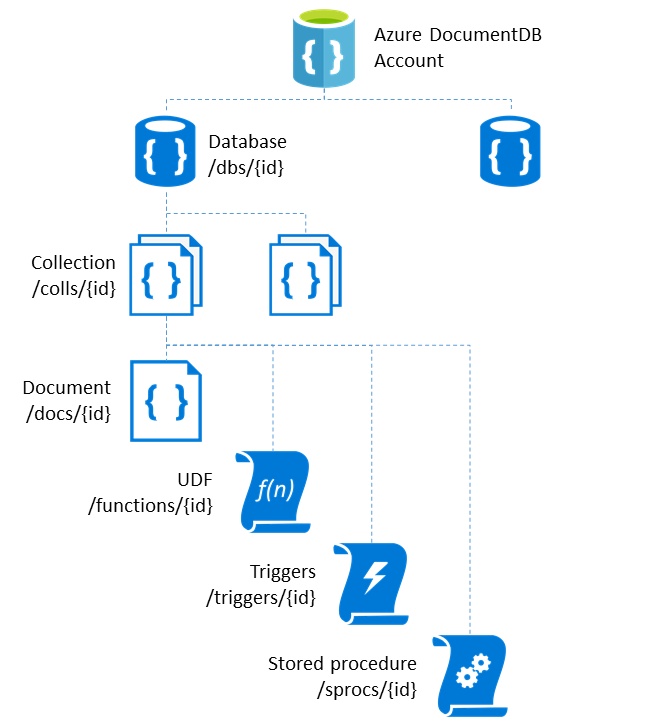 Conceptually, in Azure DocumentDB, a database can be defined as a logical container of document collections; each collection can hold not only documents but stored procedures, triggers, and user-defined functions. The collection is the billable unit and defines the consistency level. Azure DocumentDB collections have automatic attribute indexing, which can also be customized. This schema-free approach lets you store documents with different and dynamic structures that can evolve over time. Since we are storing our users on DocumentDB, this means we can also store other object types in the same collection without their interfering with each other. We will work with a practical pattern to achieve this multiple-type storage and build performance-wise querying examples; even though DocumentDB supports Node.js, Python, Java, and .NET SDKs, we'll be working on the latter. A full sample on GitHub is available running on ASP.NET Core. You might notice the JsonProperty decorator. This is because the "id" attribute on DocumentDB is always lowercase; the decorator will make sure the property name matches, no matter what your JSON serialization configuration is. Azure DocumentDB allows for insert, update, delete, and querying capabilities on different flavors, including LINQ and SQL syntax. If you already have your data in another format / source, you can use the Azure DocumentDB Data Migration tool to migrate it to a collection. The following operations are available as a full provider on the GitHub repository; we will highlight the snippets that will enable you to understand the basic operations. To successfully connect to a DocumentDB collection we will need the service url endpoint and the password/key (when using the MongoDB protocol-enabled version it's called Password and when using a normal DocumentDB instance it's called Key) obtained on the Azure Portal. They will enable us to access the service through a DocumentClient. For other performance best practices, there is an entire article on this topic. We will now cover the basic operations. This will internally use Newtonsoft.Json to serialize your object to JSON and store it. If you set the id property it will be maintained; if you don't, it will create a new Guid string. This also means that you can exclude attributes from serialization with the JsonIgnore attribute. Azure DocumentDB does not support partial updates at the time of this article's writing. If you try to do it, you will end up with a replaced document with fewer attributes than it had originally. It requires a Document URI, which can be created with our previous helper method. Finally, pagination can be achieved through the RequestContinuation attribute on the FeedOptions. We obtain this value by querying first and then saving the ResponseContinuation attribute. Notice how we set the page size by the MaxItemCount attribute of the FeedOptions. When working on ASP.NET Core, one of the core features is Dependency Injection. Because of this, it’s vital that our DocumentDB provider is wrapped in a service that can be injected by an interface. 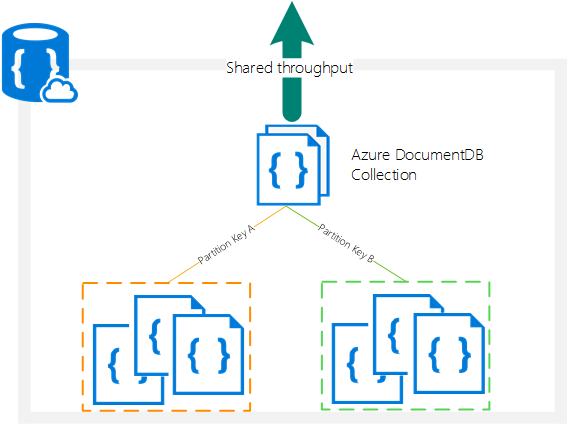 Collections can scale dynamically with Azure DocumentDB’s partition support. Partitioned collections have a potentially higher throughput and require a Partition Key configuration. Single-partition collections cannot be changed to Partitioned collections, so plan ahead: if your application data might grow beyond 10GB or you need more than 10,000 Request Units per second, you might as well evaluate Partitioned collections. Furthermore, each of the operations we described earlier will require an additional Partition Key value as part of the RequestOptions class. Partitions help optimize throughput by allowing us to take advantage of parallel queries on multiple collections by using .Net’s Task Parallel Library. For a more detailed look at implementing Partition querying, take a look at the official sample GitHub repository. Azure DocumentDB can be integrated as a custom database provider by using the MongoDB protocol. You can then use it on your Database Action Scripts sections. For a step by step guide, you can view Planet-scale authentication with Auth0 and Azure DocumentDB. Azure DocumentDB is a fast and flexible cloud storage service that will work on almost any use case scenario and can work along with Auth0 in a highly streamlined fashion. Remember that a full sample, including extensions and providers, is available on GitHub. Published at DZone with permission of Matias Quaranta , DZone MVB. See the original article here.